The Family Educational Rights and Privacy Act of 1974 (FERPA), as amended, is a federal law that protects the privacy of student education records. 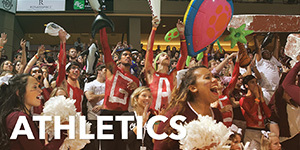 In accordance with regulations issued under FERPA, the College of Charleston provides an annual notification to our enrolled students of their rights (to: inspect, review and, if necessary, seek to amend the student's education record; consent to disclosures of personally identifiable information contained in the student's education records; opt out from the release of information designated as directory information by the College; and file a complaint with the U.S. Department of Education) under FERPA; as well as an explanation of the exceptions under FERPA that allow the College to disclose information from the student's education record without consent. Students who do not wish the College to disclose directory information from their education records without prior written consent must submit to the Office of the Registrar a request to have this information withheld. This request can be made via Banner Self-Service in MyCharleston (Banner Self-Service > Student > Release of Directory Information) or by completing an opt-out form. This request must be received by the Office of the Registrar on or before the tenth day of class for the fall and spring semesters and the fifth day of class for the summer terms in order for it to be applicable for that and subsequent semesters. Students should consider very carefully the effect of a decision to withhold directory information. If that decision is made, any requests for such information from non-College persons or organizations will be refused (subject to the exceptions stated in the FERPA Annual Notification and on the Registrar’s FERPA website) unless the student has subsequently removed the hold via Banner Self-Service or by filling out the rescission section of the Opt-Out form that is in your file in the Registrar’s Office. If a student does not specifically request the withholding of directory information, as indicated above, the College assumes that he or she approves of the disclosure of such information. The College disclaims any and all liability for inadvertent disclosure of directory information designated to be withheld. 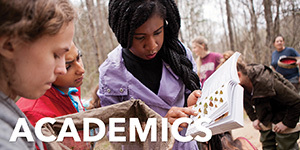 Upon receipt (prior to the tenth day of class in the fall and spring semesters and the fifth day of class in a summer term), your request to withhold directory information will remain in effect until such time as you tell us, by filing the rescission, that you no longer wish to keep your information private. 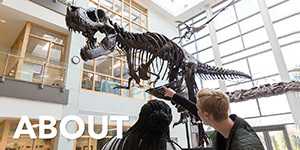 If directory information is released prior to receiving your opt-out request (by the fifth day of class), the College may not be able to stop the use of your information. Please note that when you graduate your name will appear in the College of Charleston Commencement Program even if you have requested the withholding of Directory Information. If you wish to exclude your name on the Commencement Program, you must provide your signed, written request to the Registrar’s Office no later than October 1st for the December Commencement and March 1st for the May Commencement. Disclosure of a student's confidential education records requires prior written consent of the student (unless disclosure is permitted under certain exceptions to FERPA set forth in Section 99.31 of the FERPA Regulations). A student's written consent may be obtained by using the consent form below. Use this consent form when a department or unit on campus requests disclosure of a student's education records or when a student requests disclosure of his/her education records to a specified third party. If the student wishes to release his or her records from more than one office (e.g., the Office of the Registrar and the Office of Student Affairs) then a separate form will need to be presented by the student and kept on file in each office. 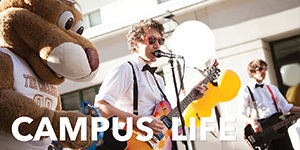 After the student has completed and submitted the consent form to the appropriate office, the approved third party must submit a written request specifically indicating which item in the record is to be viewed. The College assumes a standing order is to be honored until the student revokes it. If a standing order for release is given, it is the student’s responsibility to revoke that order at the time the student no longer wishes to release his or her records to the third party(ies) noted. When a student turns 18 years old or enters a postsecondary institution at any age, all rights afforded to a parent/guardian under FERPA transfer to the student. This means that all academic information regarding the student goes directly to the student unless the student has provided written permission to release the information to a specified party (see Consent Form below). 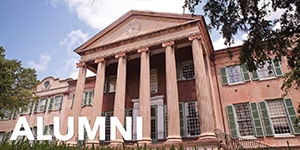 The College of Charleston may, at its sole discretion, disclose education record information to parents/guardians, without the written consent of the eligible student, if the student is a dependent for tax purposes under IRS rules (as defined in section 152 of the Internal Revenue Code of 1986). The parent(s)/guardian(s) must complete the Parent Verification of Student Dependency and Request for Educational Record Information form and provide the appropriate Federal Income Tax Return documentation. The Department of Education has determined the Solomon Amendment supersedes most elements of FERPA. 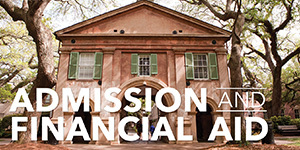 An institution is therefore obligated to release data included in the list of “student recruiting infor­mation,” which may or may not match the College of Charleston's FERPA directory information list. However, if the student has submitted a request (electronically via Banner Self-Service or by completing an opt-out form) to the Office of the Registrar to restrict the release of Directory Information, then no information from the student's education record will be released under the Solomon Amendment. If you have any questions regarding these forms or required procedures, please contact the Office of the Registrar. Opt-Out Form (PDF) – to restrict the release of any or all directory information. Consent Form (PDF)– to allow the release of "non-directory" information. Form must be filed by the student with each office which is being requested to share information with a third party. Note: These forms may not be faxed or emailed. Please contact the Office of the Registrar at 843.953.5668.